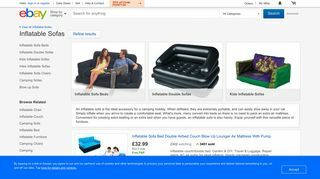 Find durable inflatable sofas in London! An inflatable sofa is the ideal accessory for a camping holiday. It is also convenient for creating extra seating or an extra bed when you have guests. If you want to shop this versatile piece of furniture, simply visit some of the leading furniture stores we list here. 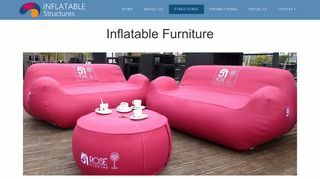 They provide you a variety of options, from kid’s inflatable sofas to inflatable double sofas and inflatable sofa beds. Have a look on their products online for selection.